Thank you for choosing to donate to Mountain Challenge! 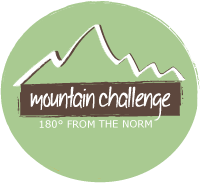 To donate, click HERE and go to “Designation” and select “Other.” Be sure to write “Mountain Challenge” in the notes section. Thank you for supporting Mountain Challenge! This picture in the background was taken by one of our staff alums, Rachel An, on her Iceland expedition.